What Lending Terms Are Available? The best rates are offered for amounts over $10,000 and the common term ranges 10 to 15 years in duration, keeping low monthly payments. What Will My Interest Rate Be? Your interest rates are determined by several factors including the loan amount, finance terms, and your credit history. Our rates are usually better than most banks and credit unions with longer loan terms. We process them “in house” for the lender which also creates a savings. Do You Charge A Pre-Payment Penalty If I Decide To Pay The Loan Off Early? You can pay your loan down in larger amounts than are specifically required as a monthly payment by the lender, or you can pay it off entirely at any time during the course of the loan. Paying your loan down by making larger monthly payments than are required will shorten the term of your original loan. Will My RV Loan Interest Be Tax Deductible? It is possible that the interest on your RV loan is deductible as second home mortgage interest. Be sure to contact your tax professional or the IRS. What Type Of Recreational Vehicles Are Eligible For Financing? 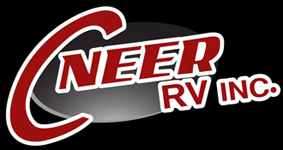 You can finance new and used travel trailers and fifth wheels, and motorhomes. Yes. In fact, there are many advantages to getting pre-approved for an RV loan. Plus your interest rate and finance term is locked in for at least 30 days after receiving an approval. Can My Payment Be Automatically Deducted From My Checking Account? Yes. Just inform us of your payment preference during the loan process and we will take care of that for you. Do You Take Trades And How Do You Determine The Value? We do accept trades that are in good condition, because we deeply discount the MSRP trading or not we use “market” or trade value.